Working on something and you need to call a friend? Open Siri up and ask it “Hey Siri, call (your friend) on speaker”. Siri will dial your contact and launch the conversation using your speakerphone. Mislaid your iPhone? 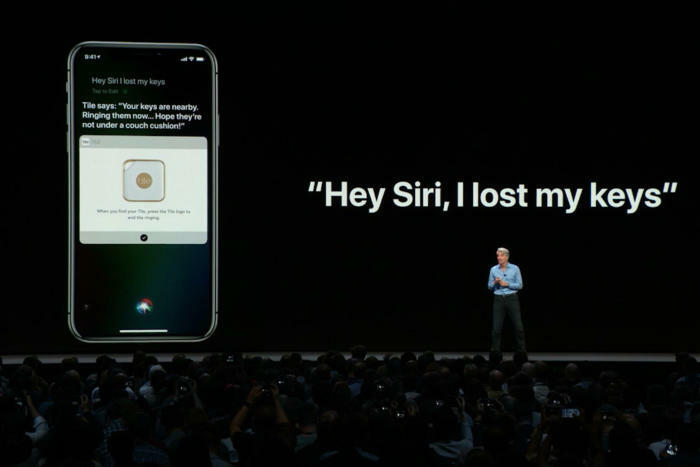 Ask Siri, “Find my iPhone” and your smart assistant will show you a list of all the devices you own, asking you “Which model”? Choose the relevant model and Siri will let you play a loud sound on your mislaid device. I’ve published this tip before and it was very well-received, so I thought I should mention it here: Siri will remind you of almost any content you are interacting with – email, texts, web pages, podcasts. All you need to do is ask Siri when in the content (on an open email, website, etc) to “Remind me of this”. Siri will create a Reminder with a link back to that specific item of content. You can even ask it to set a reminder to a certain time: “Remind me of this at 10am Thursday”. I use Twitter a lot. It’s the best barometer of what is happening of all the social networks. Did you know that you can say “Hey Siri, what’s trending?” and it will show you all the currently trending topics on the social network. Siri can’t do everything, but it can enable AirPlane mode, switch off Wi-Fi, Bluetooth and Do Not Disturb (or switch them on again). You can even ask iti to change the screen brightness, open the camera and more. Or take a Selfie. If you use Apple Pay Cash you can send money directly to other Apple Pay users, just tell Siri “Pay Jonny Evans $1 million.” (Alas, my fate is to live with a diminishing sense of hope). Not only can you ask Siri to call people, dictate and send emails and messages, but you can also ask it to arrange meetings for you. Ask Siri to “Schedule a meeting with [person concerned, who must be identified in your Contacts book]. Siri will schedule the meeting and send invitations to the contact(s) you mention. Need to move that meeting to a different time or date? Siri can do that too, “Move my 10:30 to 3pm”. You can ask Siri to open a website for you. Spend a little time exploring Siri Shortcuts and you’ll be able to automate a morning routine of all the websites you want to take a look at every morning. “Hey Siri, add “Finish my tax return” to my To Do list.” “Hey Siri, add caviar and champagne to my weekly shopping list”. Siri can add items to your existing lists, create Notes and more. Even enterprise professionals need to get to the shops, but when you’re working late you can easily find out if your local store is open, just as Siri: “How late is [store name] in [place name] open?” Now you’ll know what time you need to get there.